The two pounds of weight I gained while spending spring break with my parents can be directly attributed to the peanut butter balls my mom had stashed in her refrigerator! They have always been one of my favorite treats, but I don’t make them often. This is a slight variation on the traditional peanut butter balls. These are perfect to make ahead for a party – or just to eat yourself! This recipe came from the February/March 2000 edition of Taste of Home magazine. In a mixing bowl, beat peanut butter and butter until smooth. Beat in confectioners’ sugar until combined. Shape into 1-inch balls; press one on each pretzel. Place on waxed paper-lined baking sheets. Refrigerate until peanut butter mixture is firm, about one hour. 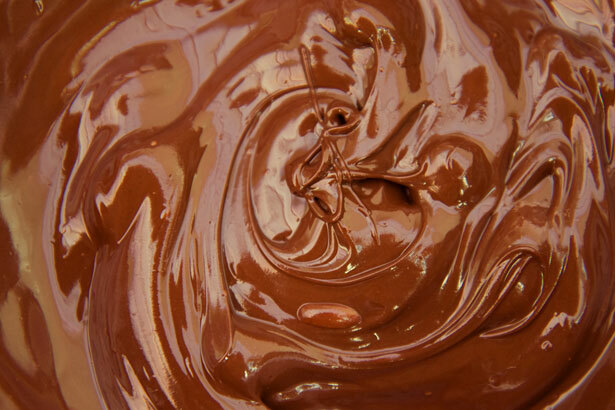 In a microwave-safe bowl or heavy saucepan, melt chocolate chips and oil. Dip the peanut butter ball into chocolate. Return to baking sheet, pretzel side down. Refrigerate for at least 30 minutes before serving. Store in the refrigerator. They look like they are worth every calorie! Yum! These sound dangerously addictive and very, very yummy! Thanks for sharing them. Yum! Thanks for sharing your recipe and linking to Tempt My Tummy Tuesday. Oooh, I love the twist of a peanut butter ball and pretzel! I'm adding this to my to try list!! 😀 Love chocolate and peanut butter combo!! Yum! I have a chocolate- peanut butter addict in my house who will love these! Chocolate, salty AND peanut butter? These sound heavenly! Thanks for sharing. These look SO good – my mouth is watering!!! Thanks for this recipe – I've copied it and will definitely try it.